Ocala, Fla. (JANUARY 12, 2017) – E-ONE, a member of the REV Group, recently completed a CBRN incident vehicle for delivery to China. The CBRN (Chemical, Biological, Radioactive and Nuclear) vehicle is designed for quick response teams in contamination incidents that involve chemical, biological, radioactive or nuclear substances. The vehicle is a 17-foot combo rescue built on a four-door European chassis. It is designed with a safe cabin to accommodate three people. The safe breathing room includes a positive pressure air filtration system that prevents contaminated air from getting into the cabin to safeguard occupants. “The vehicle is designed to meet China’s CCC certification requirements. Our factory certified technician will conduct complete operator and maintenance training in China,” said Sam Itani, E-ONE Vice President International and Government Sales. The CBRN incident vehicle is equipped with multiple compartments to carry the necessary tools and equipment for detection and decontamination. These tools and equipment have been included in this recuse purchase with items such as NBC decontamination HazMat patient kit, gas and radiation detectors, and portable HazMat decontamination shower. 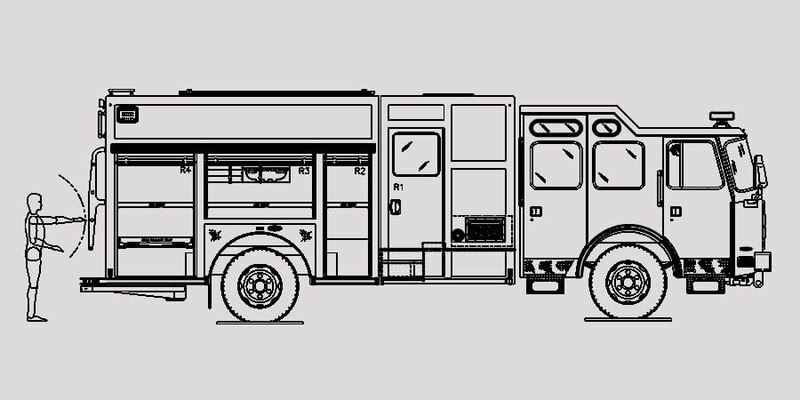 As a leading manufacturer of first responder vehicles, E-ONE engineers and manufactures mission-critical vehicles including aerial ladders and platforms, command and communication apparatus, custom and commercial pumpers/tankers, Water Master vacuum tankers, industrial trucks, and aircraft rescue firefighting vehicles. The company sells its products world-wide and is headquartered in Ocala, Florida. E-ONE is an ISO 9001 registered and CCC certified manufacturer. For more information, visit e-one.com.